Hawaii has a long and rich tradition of producing beautiful artwork and crafted items inspired by the natural wonder of the Pacific chain of islands. A gorgeous background for artistic creation, it’s no wonder why so many incredible art galleries have cropped up throughout every corner of Hawaii, but there’s perhaps no better gallery scene than the one found on the Big Island. 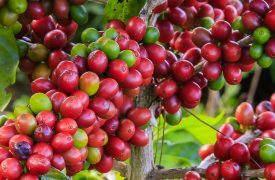 With expansive, diverse geography and a slower, less developed tourism scene, the Big Island is home to countless, incredibly talented artists, musicians, woodworkers, jewelry makers, and glass blowers who take advantage of the island’s relaxed atmosphere and produce amazing works of art to share with the rest of the island. If you’re on the hunt for that perfect piece to round out your home or simply want to experience the Big Island’s art community, check out the following galleries during your visit. A non-profit with nearly 50 years of service to the Big Island arts and culture community, the Volcano Art Center is a must-stop hub for Hawaiian artwork of every stripe. Founded in 1974 and located in the historic Volcano House Hotel on the borders of Hawaii Volcanoes National Park, this art center is a mecca for local artists, craftspeople, and historians with the goal to preserve and present ancient Hawaiian artwork as well as contemporary products from every walk of life. No visit to the park is complete without a stop at this incredible and diverse gallery. 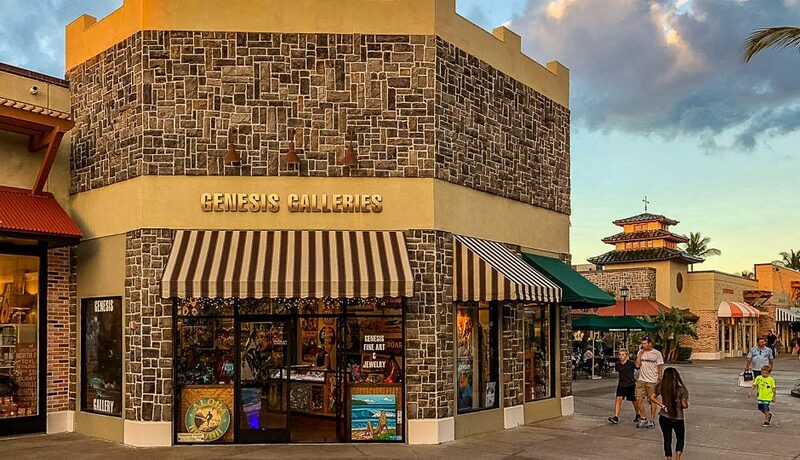 With two locations on the Big Island, Genesis Gallery is one of the premier showcases for authentic and unique Big Island fine artwork, sculptures, jewelry, glass work, and photography. As the exclusive home of original Wyland pieces on the Big Island, this gallery aims high and delivers. A true Big Island institution in the art world, Extreme Exposure showcases the incredible natural beauty of the island’s active lava flows in stunning fashion. Owned and operated by two of the finest photographers on the Big Island, Extreme Exposure’s most notable output is the annual photography calendar, but large-scale prints of their work are available in the gallery, making the perfect statement for a striking tropical home. An offshoot of the Hawaii Preparatory Academy, the Isaacs Art Center is a gorgeous, immaculately lit and curated collection of donated artwork from all over Hawaii. Housed in a restored building that once served as Waimea’s first public school, the center showcases a number of original paintings, furniture, rare books, and other Hawaiian original items. Proceeds from art sales benefit the HPA Scholarship Fund, which helps Hawaiian children attend the prestigious school. 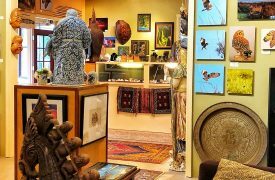 A family-owned and operated gallery on the northern tip of the Big Island, Ackerman Galleries maintains an impressive level of finely-curated original pieces from all over the Big Island. For more than forty years, the gallery has featured amazing original paintings, photographs, wood carvings, glass pieces, and jewelry, keeping a high standard for taste and quality throughout. 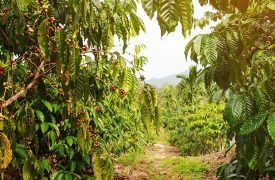 Nestled deep in Kona Coffee country, Dovetail Gallery and Design features a greater level of natural elements in their presented works than most galleries have in their entire selections. An on-site furniture studio produces much of the gallery’s works, but contemporary and abstract artwork, original sculptures, and hand-made jewelry round out this impressive and well-kept collection. 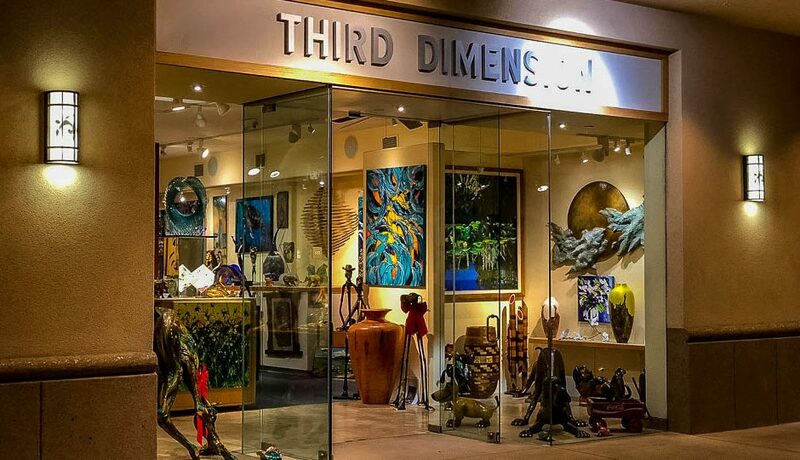 With a focus on three-dimensional artwork over painted and photographed pieces (though there are some), Third Dimension Gallery certainly lives up to its namesake. Incredibly intricate small and large-scale pieces (some of which are life-sized in their depictions of animals and human beings) fill out the gallery, making for a considerable experience for those who venture through the tastefully-organized gallery floor. Home to one of the Big Island’s most famous and well-regarded artists, the Wishard Gallery displays both founder Harry Wishard’s artwork and those of other talented Hawaiian artists.